What's up guys, Dom here, bring you guys another helpful mod. When typing "/set" into the chat, this command mod will give you a full set of iron armor/tools, 16 steak, 32 torches, and 1 bed. 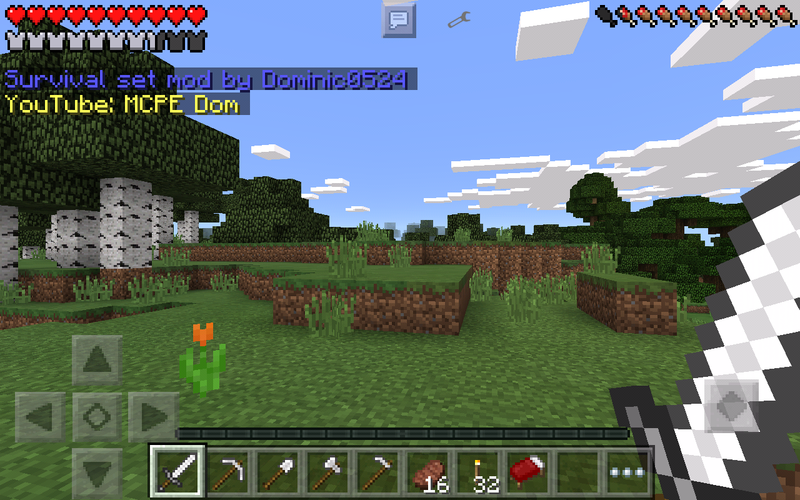 This mod makes it easier for you in survival mode. I hope you will enjoy my mod.